A fantasic game, I think it can easily seen as the most complete and well made game of the jam and also one of the most fun. I had a blast playing it, I am however also a sucker for this type of gameplay. 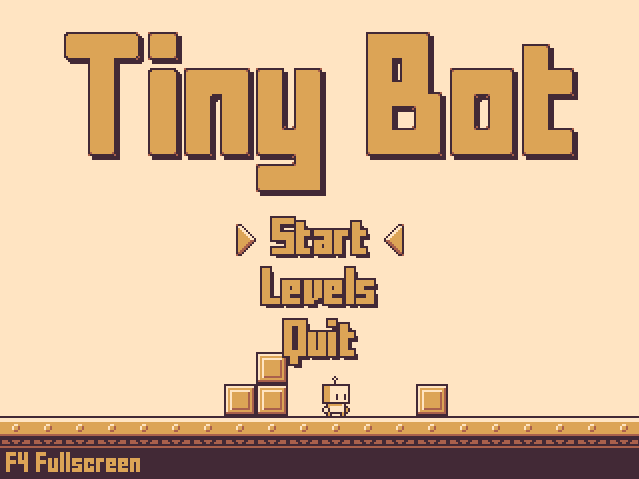 A puzzle-platformer mix with a fun gimmick just cant go wrong. The game itself fits the theme well, the tube mechanic is fun, while not overtaking the entire game/overstaying its welcome, but instead you let it be one part of a whole, mixing in other fun mechanics in it. 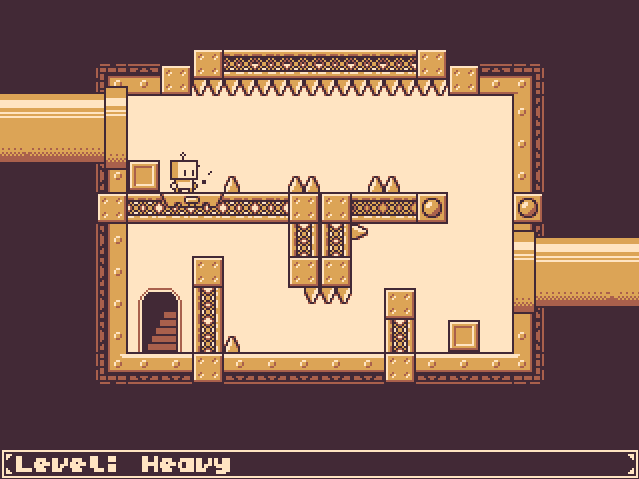 I can go on a lot of just how well I think this game is made, so I will: The presentation is super smart, a one color theme makes it very appealing and is perfect for such a short jam and you still managed to add so much detail. The environments are still very clear too there function and there are some nice effects! The move to have the character have a "placement" hint in front of him is such a smart detail that I would not have expected in a one-week-jam-game, things like that is usually added later, and just adds the the polished feel. The soundtrack and effects both fitting of the pixelated style. So all around, the presentation is awesome. If there is one thing I don't like about the visuals is that the main character is a bit boring, its just a basic robot. You could add a bit more character to what he is, or WHY he is doing these puzzles. For example: in the puzzle platformer "Offspring Fling" you have a basic narrative/context to what your doing (saving your offspring) and it gives the entire game more purpose and incentive for the player. The levels are mostly well done, with a good amount of challenge (but as you mentioned yourself, they are not balanced, I think the third-fourth level or something that's really evil, its filled with spikes and you need two blocks to get to the door at the top, a bit early for such a hard challenge). A tip when you balance levels would be to count the number of dangerous actions (actions that can get you killed/fail, like jumping over spikes etc.) the player needs to preform to solve the challenge. The higher number, the more devastating a fail will become as there is a lot of stuff to redo. 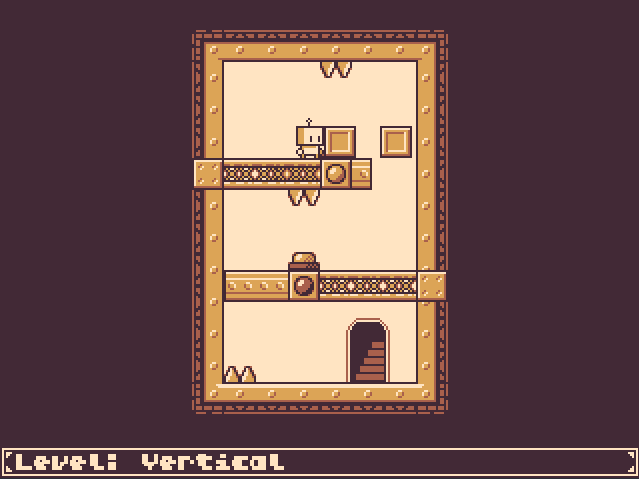 Its a simple way to gauge to how difficult a level is (its still very much based on the level context tho, as some actions can be more difficult then others). Other then the level balancing I don't have much else to say about the gameplay, its very well made. The controls are very snappy and feels good, it always feels like its my fault if I messup (however, some spikes are a bit close to one another). You have a good number of different mechanics, and add more to keep the gameplay fresh in a good pace. You already have a lot of levels, but each mechanic can have a few more levels with them before adding more challenge types. Also, great job having a "intro" level for each challenge! A great way to introduce new stuff. Quickly ran through the game. Loved it, would spend more time on the puzzle design later. The only issue I had is that lvl 15 is very straightforward to complete, so I replayed it a couple of times to undertsand what it supposed to mean. And the mechanic of box killing you when it falls on you is not really explored, I've accidentally died from it just once. I can share some more thoughts later if what I say makes sense. I agree with you 100%. 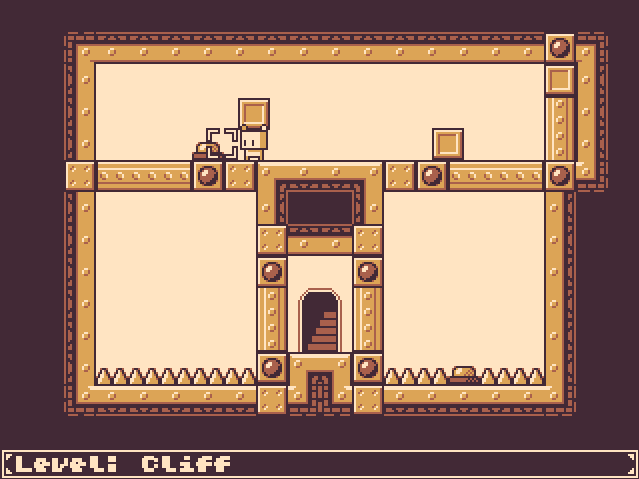 I did not give myself enough to time to spend on level design. That's something I have to work on for future jams. Definitely feel free to share more thoughts, I'm trying to improve as a dev and any feedback helps out a lot! That's absolutely fine, you've done a nice game and got so much experience. I guess you have a much better understanding of what you could add so I'm not going to talk about that. Let's talk about some stuff which in my opinion could be removed or reworked. 1) Level 4 fails to explicitly tell that you jump lower with a box (therefore can not complete it without using the tube). If you are sleepwalking, straightforwardness leads into checking the glowing thing immediately; If you pay attention, you would consider returning back, but it means ending the level without investigating the glowing thing. 2) Distractions. Unnecessary spikes in a lot of levels, where the only reason the player would hit it is a mistake which doesn't have anything to do with solving the puzzle. May be it's just for me, but normally I assume a new puzzle level is some new idea about your game system that you want me to see and understand. Unless you do explicit execution exercise like in Race. So I want to concetrate on seeing and once I figured things out execution should be something trivial, without an opportunity to slightly misjudge your movement and die. It is great when you kill me if in fact I haven't figured everything out (example: there is a spike over your head and you try to jump, but you obviously will hit it without a box, this is not about slightly misjudging, this is a mistake. Though, difference between a place were you can safely jump and can not should be clearly seen). Distractions are fine if they are intentional like in ridiculous Crowded level, where I wasn't able to see the box you need to solve the puzzle in the first try because of all the stuff on the screen. I guess that's it. Are you interested in the puzzle genre? I would love to share lots of good materials if you want. Wow there's quite a bit I didn't even consider when building the levels. I would love to read through any materials you have if you don't mind. Thank you so much for the insight and feedback, I'm excited to try again. Great. There probably are ~20 hours worth video materials I can share, but that would be overwhelming. I have a better idea. Quick introduction which doesn't say that much but may get you interested. I guess all that only makes sense if you are inclined in a certain way. So if it doesn't interest you right away - it probably won't further. But if it does -- great, you can continue to learn from John, who gave insane amount of high-quality talks which really changed the way I think and feel about all that stuff now. Share your thoughts if you like it. fantastic game. Excellent design and visual style. Music was spot on.